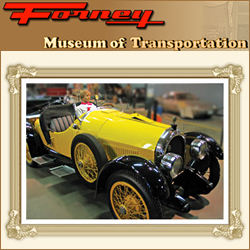 Trick or Treat Streets at the Forney Museum of Transportation! A safe and fun Halloween event indoors where we will have: crafts, games, a costume contest for children and adults, and, of course, trick or treating! Magician Lewis Peacock will also be on hand to astound and mystify you! Admission is only $4.00 for everyone 3 years old and over. Children under 3 are free. So wear your best costume and come see us on October 29th from 5:00 pm to 8:00 pm. You are sure to have a hauntingly good time! Call Machelle at 303-297-1113 with any questions.